Check out our 1 owner 2016 e Golf SE. As a Certified Pre Owned Volkswagon you will enjoy piece of mind knowing that it has undergone a comprehensive painstakingly detailed 112 point inspection. Volkswagen is happy to offer a 2 year or 24 000 mile whichever comes first bumper to bumper limited warranty on all Certified Pre Owned vehicles. We'd be happy to answer any questions that you may have. 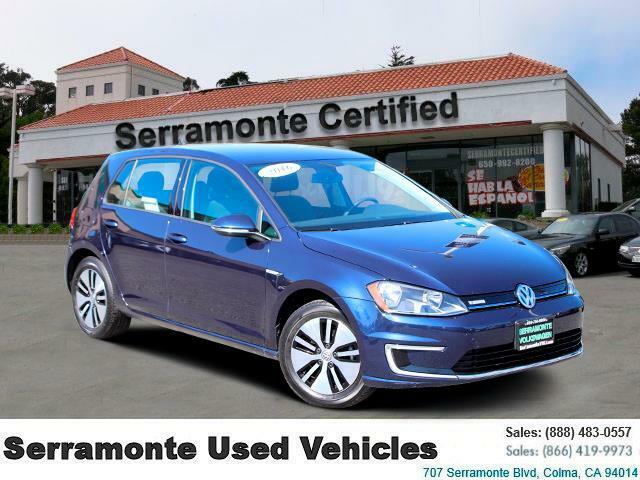 Please contact us today at Serramonte Certified 650 992 8200 to arrange a closer look and test drive!